ARMS! Cave Story+! Mighty Gunvolt Burst! Runbow Pocket! More! It may be E3 week, but we still have the usual North American Nintendo Download Update details. This week has two tempting retail releases on Switch along with a couple of downloads on the system. The 3DS and Wii U don't miss out, either, with the portable in particular offering an interesting mix of titles. Let's get to it. Missed the European Nintendo Download Update? Don't panic, the details are right here. 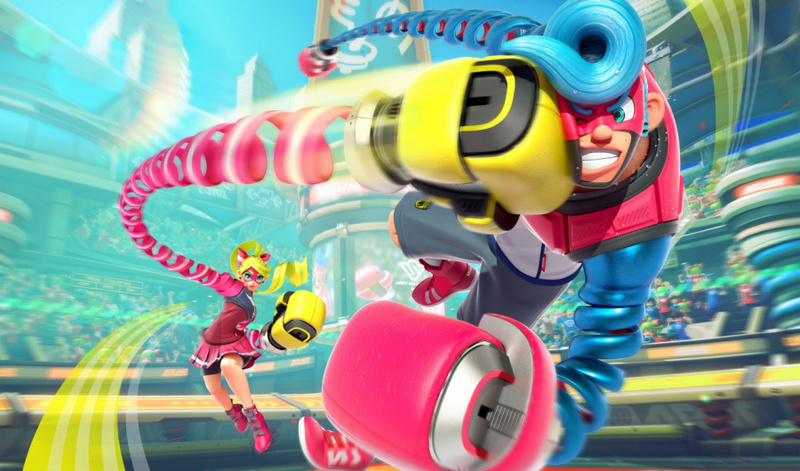 ARMS (Nintendo, $59.99USD) - This new IP now needs little introduction, and Switch owners can soon get into some fights with wacky extendable arms. Solid online options, varied modes and more content coming for free in the future, some reckon this'll be Nintendo's 'next big thing'. We were certainly fans in our ARMS review. Available from 16th June. Cave Story+ (Nicalis, $29.99USD) - Another indie darling / classic gets the Switch treatment with a retail option, with this iteration bringing Cave Story to Nintendo's latest hardware. With co-op included (along with other extras) this adds a little more to the formula in addition to being the 'definitive' version. Available from 20th June. 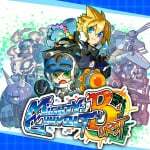 Mighty Gunvolt Burst (Inti Creates, $9.99USD) - This adopts retro-style visuals and the action platforming puts an emphasis on getting close to enemies before attacking. With nods to past Inti Creates gems this certainly looks promising, and will also come to 3DS later this month. 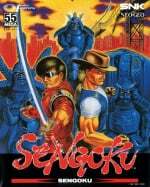 Sengoku (HAMSTER, $7.99USD) - The Neo Geo ACA games keep coming, this time with a beat 'em up arcade title. We reviewed this a long time ago on the Wii Virtual Console, and will take a fresh look soon. 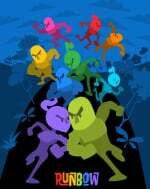 Runbow Pocket (13AM Games, $29.99USD) - Runbow certainly made an impact on the Wii U, and now heads to the New 3DS in a couple of different forms to offer us the colour-swapping platforming on the go. That price above is for the boxed retail edition that includes all of the DLC, but it'll cost less on the eShop with DLC being optional extras. You can learn more about it in this update from the developers. Available from 20th June. River City: Knights of Justice (Natsume, $14.99USD) - Known in Japan as Nekketsu Mahou Monogatari, this takes the series into a medieval RPG adventure, which is quite a change-up for the franchise; it promises over 100 quests and multiple paths. Available from 20th June. I am an air traffic controller AIRPORT HERO OSAKA-KIX (Sonic Powered Co., $19.99USD) - This is the third entry in this series in which you take on the frantic task of safely guiding planes on and off of the runways. You can choose from Story and Operation modes, with Kansai International Airport the destination this time around. Mutant Alien Moles of the Dead (EnjoyUp Games, $2.99USD) - A rather colourful title that could certainly be rather fun, promising a 'game of reflexes' that mixes up gameplay. Part whack-a-mole, part Game & Watch platforming and 'rock-paper-scissors' battles, it looks suitably bonkers. As always Nintendo of America wants you to browse the eShop and check out the official sales and deals website for discount details, while there are also plenty of E3 deals available right now. Those are you download options for this week, let us know what you're planning to download in the poll and comments below. The US have a better week than Europe in terms of new releases. Hoping Mighty Gunvolt Burst is a good megaman-like platformer. Cave Story+, Runbow Pocket, River City and Miitopia demo only in USA for now? But why? @Alikan Did you play the last Mighty Gunvolt? (It was free if you had azure striker gunvolt). Next week is the one for me. Cave Story and Oceanhorn on Switch and Ever Oasis on 3ds! @Roam85 nope, missed out on it, so I'm judging from trailers and speculative commentary from people and reviewers saying how much they enjoyed Mighty Gunvolt. I love the Airport Hero games, but the idea of it having a "story" mode sounds terrible. Hopefully the Operation mode is basically the same as the previous ones. 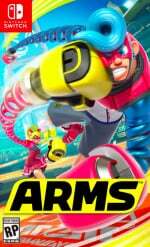 Sorry all, I'm still not sold on Arms, and I think at this point, I'm gonna pass until I see it on sale. Sooo, maybe I'll see you online in 2-3 years. 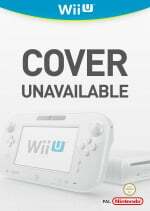 Nintendo releases a Miitopia Demo in the US, but not in Europe? You're making me really sad. Definitely interested in River City: Knights of Justice. @Alikan it was good. I'd say play the azure striker games first, but that's because I'm biased and like it better. @MoonKnight7 I agree. Arms just didn't do it for me either. Got the Miitopia demo. Next week I will be getting Ever Oasis and the week after RPG Maker Fes. Loving Miitopia so far. And I wasn't sure about it when the first announced it. Have it preordered for next month, alongside Hey Pikmin and the New Nintendo 2DS XL and Splatoon 2 (even though we don't have a Switch yet), getting a good deal on it through Amazon Prime. Plus my dad is getting my son a Switch, once he finds one. Yeah. I was on the fence for a while, but I'm just not seeing enough there for me to take a chance on it. I've got plenty of other pre-orders in down the line, so I'm just gonna save the money for those instead. I hope the others enjoy it though. @SLIGEACH_EIRE that said I still feel could've been better! Nintendo needs to step up the pace! Amazon Prime is a godsend for us game-addicts haha. @MoonKnight7 yes it is. I have too many games preordered because I have a 3DS, PS4 and getting a Switch as soon as I can find one or my dad finds one (my son is getting it for his birthday). ARMS as a digital when it's available. Hoping Nintendo have one more surprise up their sleeves for downloads during E3. Haha nice. I'm in the same boat, 3DS, PS4 and Switch keeps me plenty busy. Maybe, you can sneak a few gaming sessions on your son's Switch until you can get your own. I don't understand how Mighty No. 9, a game that got pretty terrible reviews across the board, has not one, but TWO spinoffs/crossover games. Wha?? I would be surprised if Nintendo didn't have something else to release today during the Treehouse. They usually do a surprise "It's available now!" thing during E3 - last year was Rhythm Heaven Megamix - so I'm hoping there is something else today. @DoctorWily Azure Striker Gunvolt came out well before Mighty No. 9 and had a 8 bit mini game to go with it. I believe this is a spinoff of that and not Number 9. Unfortunately River City: Knights of Justice doesn't release until the 20th of June I cant wait to try this game out though! @ericflapjack The only games they haven't shown off yet at the Treehouse are Kirby and Ever Oasis. Maybe they'll show Hey! Pikmin and more Odyssey but I expect a surprise or two to show up today now that the tournaments are done. I'm still on the fence with ARMs but will pick up Gunvolt for sure. Cave Story+ may catch my attention next week, local co-op and on-the-go is a great combo for me. I might grab ARMS at some point, but not right now. Might pick up Gunvolt Burst, though. Looks cute. I'll stick with Cave Story on PC for now, but I'll likely be getting Gunvolt. I plan on getting ARMS & Cave Story+ at some point (hopefully sooner, rather than later), but I'm broke right now. Meh, I think I'm good this week. ARMS isn't my thing and I've no interest in the other titles. Which is sad, because I grabbed an eShop card earlier in the week as I figured that Nintendo would do a surprise release or two for E3. Oh well, it'll be nice to have when something I want does come out. cave story and might gunvolt burst are the one that I will be getting...ARM is 1 - 2 and I'm done. Maybe later down the line but it's not for me. Gonna pass on Arms. What I played wasnt bad, but it didnt hold my attention. $30 CaveStory is nuts, I'll stick with my DSiWare version. I had the Miitopia demo downloading last night before bed, because why not. After work today Im jumping on Mighty Gunvolt Burst. Really enjoyed the first one, I hope this one is better! @DoctorWily Well, Mighty No. 9 was a disappointment but people like Beck the character (who knows why). Kind of like how Mega Man has had some pretty awful games, but support for the character stays strong (unless you're literally Doctor Wily, I guess). @World YES! I went to the official website and YES!! The ability to create new stages is in the game, just like the previous games, and even better, you can create new stages by taking pictures with the camera AND by scanning QR codes!!! Man it's almost $30 where live though, but this series is awesome. This is a total surprise! I am not too fond of adding anime-looking people though, but it's the gameplay that counts anyway. To answer your question, Operation Mode is basically like the mode in the other games. ARMS bright and early tomorrow morning when stores open. E3 has been good... very good this year. Getting Mighty Gunvolt Burst and the Miitopia demo. Wow! I forgot ARMS was coming out this soon. The Testpunch really sold me, so I'll be getting it in the near future, if not right away. I'll be grabbing Arms, but in cartridge format. Arms, Cave Story, and Gunvolt. My wallet is crying. I'm very curious about Miitopia. Glad there's a demo to try. Why do you list all the sales and deals on the Europe page like this but not the American one? No American contacts to get the info correct, perhaps? I wish new Airport games came to the Vita too. Nothing new, but I might take Nintendo up on one of those discounted games this week. Nothing new for me either, but I am tempted by the discounted games and my "birthday" discounts to pick up something I have been holding out on. @Freelance Oh, nice! Then there's no reason for me not to get this! I was worried because this seems to be a localization of Kansai Sky Story, which seemed like the least interesting of the bunch (due to the "story" elements). @JHDK To my knowledge it's a crossover between Azure Striker Gunvolt and Mighty No. 9, hence my original comment. I never played Azure Striker Gunvolt, but I here it's a fine game... but why does it need a crossover with Mighty No. 9? What does Beck really have to offer over any other character they could have chosen for a crossover, like Shantae, actual Mega Man, or (insert any other character here)? I feel like they could have chosen any other character and it would have been someone more successful than Beck. That's what confuses me. I will never be interested in ARMS. @World Oh I was just looking at the official website (translated into English this time) and there actually isn't much info on the operation mode, but I don't think it'd be much different than the stages you can make in the previous games. From what the website says, it seems the story mode is there just to get new people to learn how to play. I guess it's a more fancy tutorial mode. I doubt I will touch it. It looks like you are already aware of the game though. What makes it the least interesting game? It seems you just don't like story mode or whatever, but from what I've read it IS a localization of Kansai Sky Story. Did you know about Operation Mode and the other stuff besides Story Mode? Apparently you can unlock a new perspective from inside a plane window. That sounds pretty cool. I can't buy it until tonight so if you're actually going to get it, let me know how it is. As soon as I get my Switch, I'll be downloading my two favorite indie games: Shovel Knight and Cave Story+! I'm stunned at that price tag of Cave Story+. Even for a Nintendo platform, where one is used to paying a severe premium, this is just silly. Even if I hadn't played the game on PC before, considering it's half of what e.g. Zelda costs, I just can't pretend that this price-tag is justified. I know, I know ... no one is forcing it on me, and I won't get it, but still feels like an attempted rip-off to me. ARMS retail, miitopia download and likely Sengoku, knights of justice and gunvolt. @duddy Hmm... how does one justify paying for any video game when most can be had for free? @MoonKnight7 I prefer Gamers Club at Best Buy, but I still have Prime. At least with GCU I can get 20% off all games even after release including on top of sale prices as well as the same discount on Amiibo (that Amazon doesn't offer anymore). With GCU I get free day one pickup, and personally I get free shipping because I buy so much there. Mario Odyssey has the 20% off discount and a $10 rewards credit now at Best Buy. The GCU program is only $30 for two years. I will be picking up ARMS tomorrow at retail. I downloaded the Miitopia demo last night and really enjoy it so far. My kids love it even more so I imagine I will be grabbing when it comes out at the end of July. Strange to think that I thought I would be done with Amiibo after next month, but now I have all the new one's preordered and will need to decide if I really want them all when they come out later this year. Thanks for the info, I'll definitely look into it. @Freelance Yeah, as far as I can tell KSS introduced the "in-plane" camera and all (or at least most) used it from then on. I remember seeing trailers for it when it came out in Japan, but I had no idea there was an "Operation" mode! I don't speak Japanese, so I was going by the trailer, and poorly translated Japanese info on the game, that made it sound like it had an actual story mode. I would've preferred a localization of some of the other airports, or one of the All Stars games (even with fake licenses). But if this does have a regular mode it should be okay. The gameplay, even in that weird story mode, IS the same. There's nothing wrong with this particular entry; I just dislike when games I like get "stories" shoehorned in. @World I see what you mean. I hate it when genres that don't need a story gets a story added in for no reason at all. I too wouldn't get this game at all if all it had was story mode. The stages that be created and pics and whatnot gives the game awesome replayability so I'd be really upset if it was taken out. Luckily it didn't, and it's cool that I don't have to rely on QR codes this time. I got my info from translating the entire official website so everything I said is accurate, and the translation is pretty good too. I've actually been looking at the All Stars games. I'd like to try one of those too, but I guess they don't seem so keen to localize them for whatever reason. Hoo, man. Good week here. Good week. ARMS and Mighty Gunvolt Burst for me. Man, let's get that River City game on Switch! I'd love to play that but no longer have a Nintendo handheld other than my Switch. $30 for cave story? Wow. Guys, Mighty Gunvolt Burst is the real deal. It's pretty much what Mighty No. 9 should have been gameplay wise: a Mega Man clone with a truly innovative new idea that makes it its own thing. Can't recommend that little gem enough right now. After one level in Mighty Gunvolt Burst, I have no regrets about my purchase. Closest I'll get to playing Mega Man on the Switch for now. No downloads this week, but will pick up a physical copy of ARMS tomorrow. Been playing Mighty Gunvolt Burst for several hours now! I'm in love! This is a fantastic "Mega Man" on the Switch! Way better than Mighty Gunvolt 1, and so far each stage feels solid, I'm enjoying replaying them for all the stuff, the upgrades and customization work nicely, and the Mighty Numbers feel like fresh robot masters. Four more stages to go! Waiting for the 3DS version of Gunvolt Burst, downloaded the Miitopia and Ever Oasis demos. Let's talk about my Miitopia demo experience. Here I am, a Captain Falcon Mii, and heaven help us all when Luigi appears to steal the faces of all these poor NPC villagers that come from other people and not your own set of miis. Captain Falcon didn't expect to be helping Daniel Craig, Peter Griffin, Woodrow Wilson and Shaq get their faces back, and he certainly didn't expect to be joined on his journey by Beyonce wielding a sword. Mighty Gunvolt Burst is so good that it's going to severely affect my plan to play Arms all weekend. Crap! I skipped on Amazon for ARMS discount because I'd rather have it digital personally since its a small game anyways. I got Might Gunvolt already... and will be getting ARMS and CaveStory+ both as soon as they are avail. Cave Story at 30 looks great and is a great game so regardless I want it for local co-op as well with friends. Great year for Nintendo. Still torn between the physical and digital version of ARMS, but I'll get it. @Freelance Yeah, the All Stars games use real licenses instead of their Sonic Powered equivalents (even featuring some North American airlines like Air Canada and Delta). I can see this being a reason why they're reluctant to localize. That's cool that they've put the photo-based stage generator back in and kept the QR codes--best of both! I probably won't get this right away (like you, this was a busy month for games for me — capping off with RPG Maker Fes near the end of June), but it's definitely on my "to buy" for July! @World What a coincidence. I was just about to 'talk' to you when I saw you had done it literally 50 seconds before me! I have the game so if you have any further questions I can answer them. Good news! The awesome 'secret' BGM from Hawaii is back!! I am playing a stage now with it. I was disappointed this feature wasn't included in Narita and I wasn't expecting Osaka to have it. Sadly the ability to make stages with the camera is locked, and you need 1000 hero coins to unlock it. That will be the first thing I'll unlock. The All-Stars games have licenses from NA airlines? Well if Air Canada allows them to do so (Unless they don't follow copyright law like in China. I dunno if they do or not), then I don't see why they won't for NA localization. With so many airlines though I guess they don't think it's worse the hassle. This is the 9th game I've purchased this month, and I MAY get Super Metroid too for an even 10. I've never bought so many games in a month before...Luckily 6 of those games were on sale. @Freelance Nice! A small thing, but I'm actually really glad that the secret BGMs are back! It was cool making a stage and seeing if a new one would pop up. I didn't mind the Hero Coins in Narita. Assuming they work the same way, it took no time building up thousands. Yeah, the All Star games are really cool. One of them even came with a pullback plane (with the Sonic Powered in-game airline livery) as a preorder bonus. My only question now would be if they have the EX stages after beating the game and QR Extra stages on the website. Randomly generated stages are good, but I also like the work put into Sonic Powered's own stages. @World I already have 350 coins from beating 2 stages so this isn't going to take long. "My only question now would be if they have the EX stages after beating the game and QR Extra stages on the website." I posted a link to the QR stages from the website. It's post #58. Didn't you see it? It seems we're the only two fans in this thread. Sad! It needs more recognition! @Freelance I actually missed it! But yeah, this looks pretty much like the QR stage series from Narita, so that's good. Yeah, I figured at least @Windy would be into this. As far as I can tell, that's about the entire Airport Hero fan club on Nintendo Life. @World I definitely want Airport Hero Osaka but I'm so broke right now and I've had the worst Fathers day of all time...........My Wii bit the dust. It won't load at boot. I played Muramasa for like 4 hours Night before last. Went to continue today and it just won't start. What a terrible Fathers day! Worst ever! I have tried everything. Unplugged it for hours, just reboot after reboot. I'm pretty sure it's done. I even have 4 sets of component and av cables I switched out. First system to ever die on me. ***Sadface*** anyone got an extra Wii hanging around they don't need? @Windy Sorry to hear that! I know lots of people still really do have Wiis lying around that they don't even use for Netflix anymore, so you might be able to score one cheap that way. Otherwise, someone on NL might have a fix? Yeah, Airport Hero Osaka looks better than I thought it was going to be, based on the story mode game as it is. But it has Operation Mode so I can just ignore it, kind of like how I ignore the story in Etrian Odyssey games. @World yay I picked up a replacement Wii on Ebay from a guy who refurbs them and gives a 30 day warranty. So its coming. Im a huge fan of these airport hero games but looking at the amount of ratings for them, I dont think they sell that well. I will probably get Osaka but I might wait for a sale this time around. @Windy Nice! Glad you got that dealt with quickly! Yeah, they are a bit pricey but I usually put 50+ hours into them so I'm not so bothered by the price. Still, RPG Maker Fes comes out this week so I might wait, just because I won't have time to play it. @Windy As far as I know, there are five DLC packs out for the Japanese version: Fantasy (comes with the game), Sci-Fi, Modern, Chibi, and NIS (which has characters from games like Disgaea). Modern sounds like it might be up your alley! @World excellent news! The replacement Wii I bought refurbished from a guy on Ebay Who refurbs Wii systems as a business came on monday and I gotta say its absolutely beautiful. Super clean and the Cdrom drive is so quiet. I could not have been happier with my purchase. I was so happy I messaged the guy and told him I would mail him my old one to refurb and sell or to keep for parts. He was very appreciative as I was too getting such a good deal. I called nintendo and they had no problems switching my downloads to the new system. While i was downloading my games to the system i get a knock at my door and Fedex was delivering RPGMaker a day early it was like christmas on Monday. So far ive messed with RPGmaker a little and seems very easy so I think i will be able to get something done with it. I wanted to try and translate the Cosmic Fantasy games from PCEngine 2 has already been translated and released but 1 and 3 had not. They are like 10 hour games. So im going to look into that as well as some ideas I have rolling around in my head. It should be fun. @World oh Im going to more than likely get all the DLC for RPGMaker it has actually been one of the most anticipated games for me this year. I cant wait to put some serious time into it. @Windy Wow, good week for you! RPG Maker hasn't shown up for me yet, but hoping I'll see it soon! A quiet Wii, huh? That sounds like a dream. Mine's been making noises since pretty much the day I bought it.